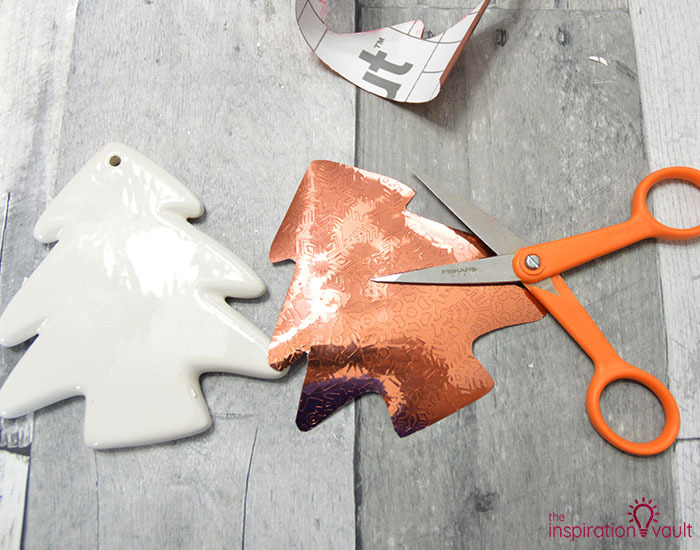 Copper is making a huge splash this Christmas season in everything from ornaments to seasonal decor. 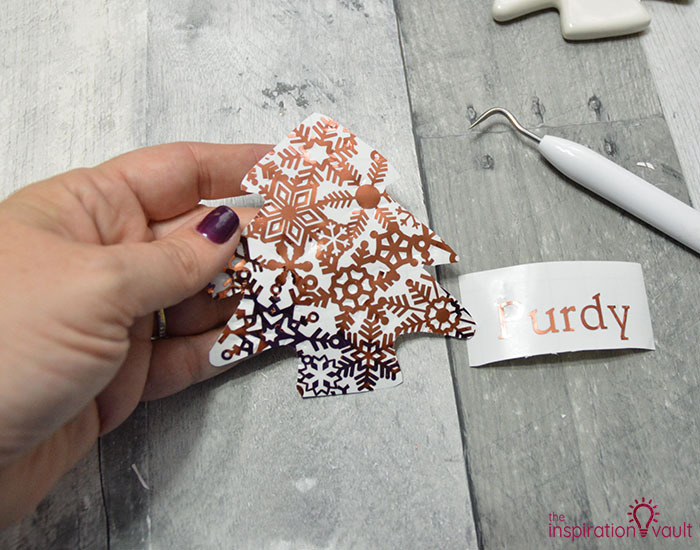 You can easily Add Copper Accents to Ceramic Ornaments using Cricut’s adhesive foil and a little help from Cricut Access. 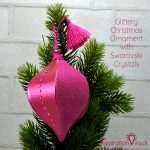 I made this pretty ornament as part of the 3rd Annual Ornament Exchange Link Party and if you remember from last year, I made that Glittery Christmas Ornament with Swarovski Crystals. 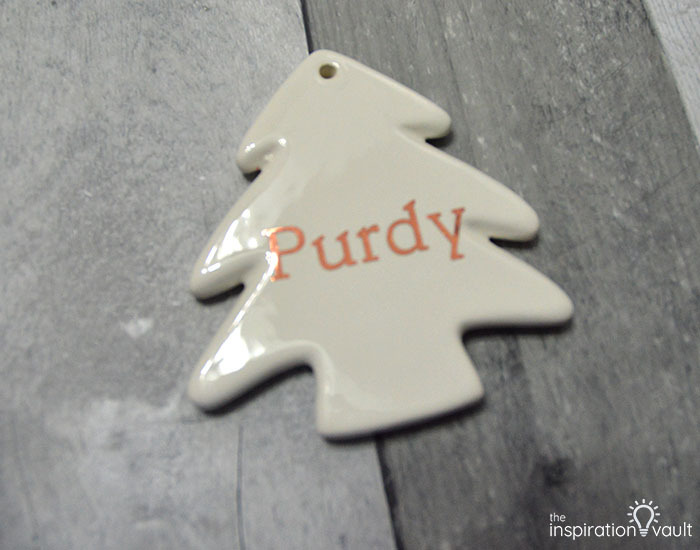 This year I was partnered with Sue from A Purdy Little House and I was thrilled to make an ornament to suit her style. She had me at the word copper, lol. 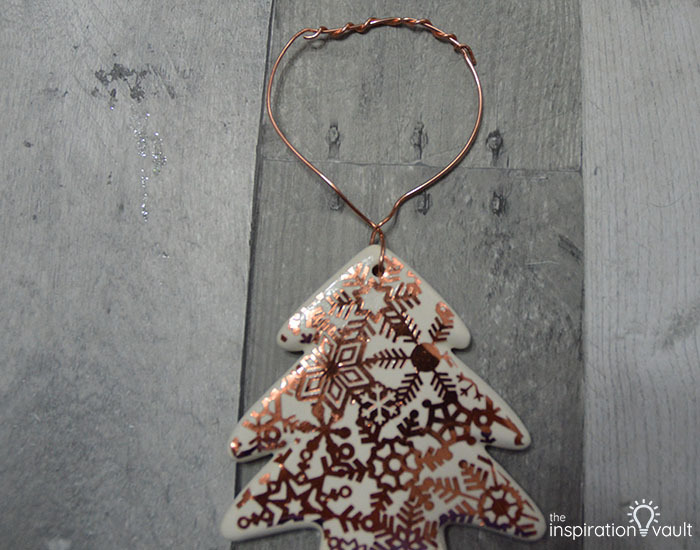 I knew I had copper adhesive foil and that it would look amazing against the off-white ceramic ornaments. So let’s see how you can make one, too. 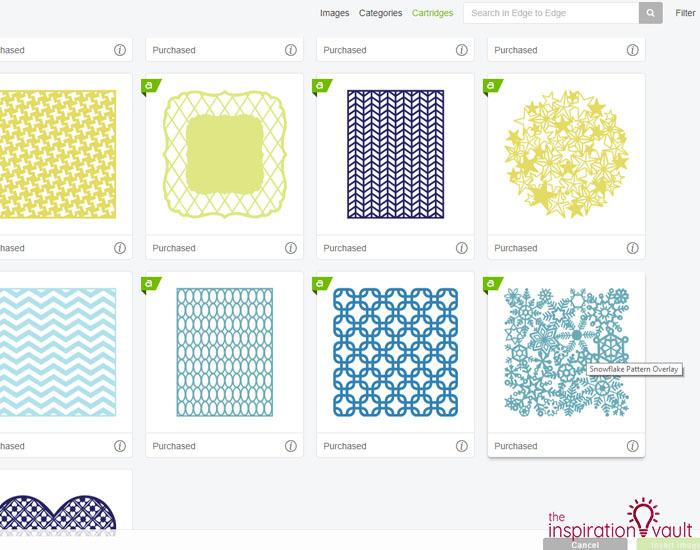 1: Open up a new project in Cricut Design Space. 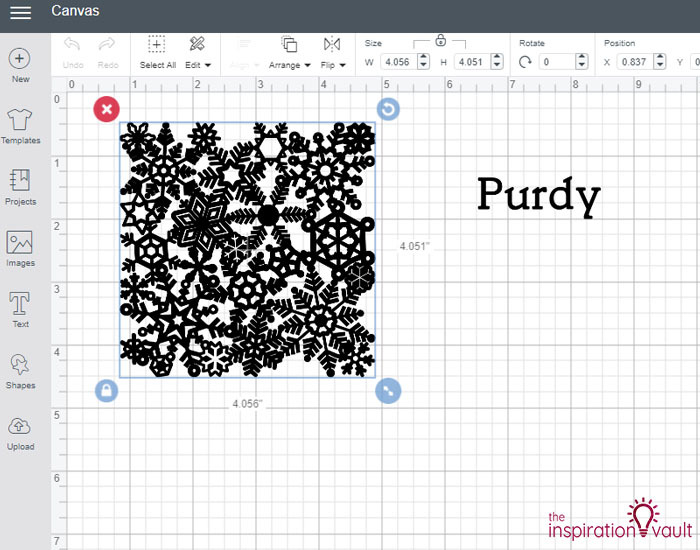 Insert an image and search for the file called Snowflake Pattern Overlay from the Edge to Edge cartridge or use another pattern that suits your tastes. Add a text box and type in the name you want to use. 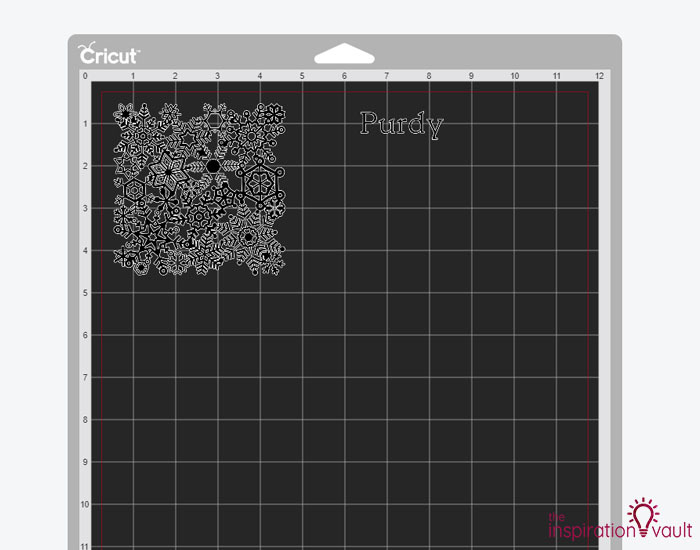 2: Measure your ornament and resize the image to be slightly larger than the surface area of the widest parts of your ornament. 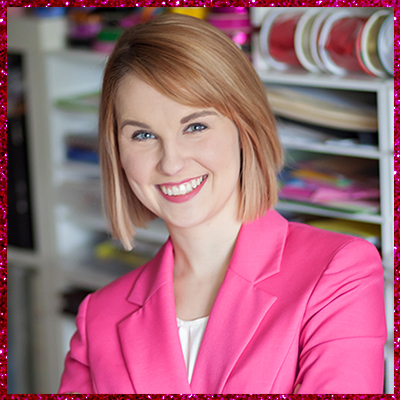 Resize the name to fit, too, and change the font if you like. 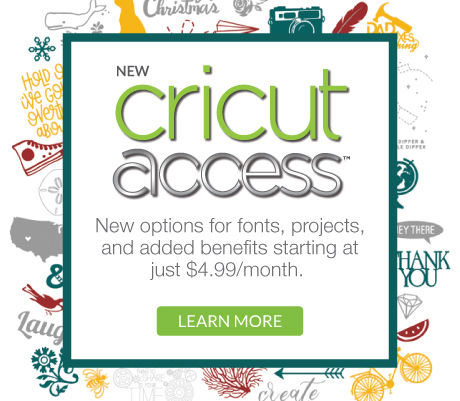 I used Cricut’s Italia Std Book font. 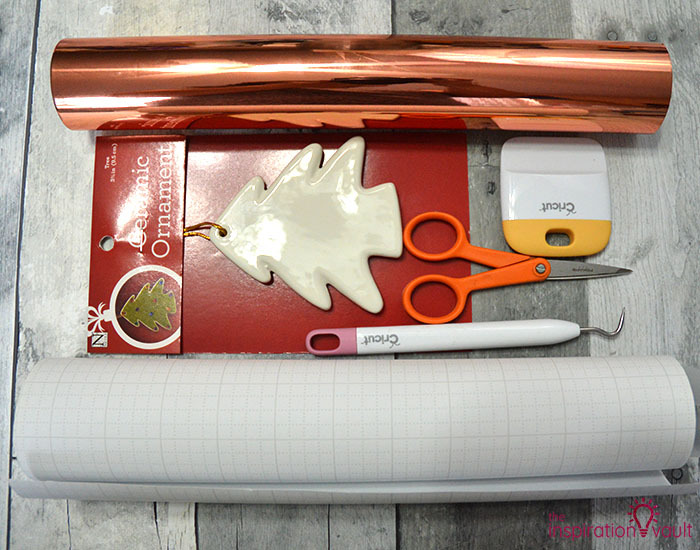 3: Cut out pieces of the copper adhesive foil that’s slightly larger than the cut-out areas and place them on the cutting mat, foil side up, so they correspond to where you placed them on the cutting screen. 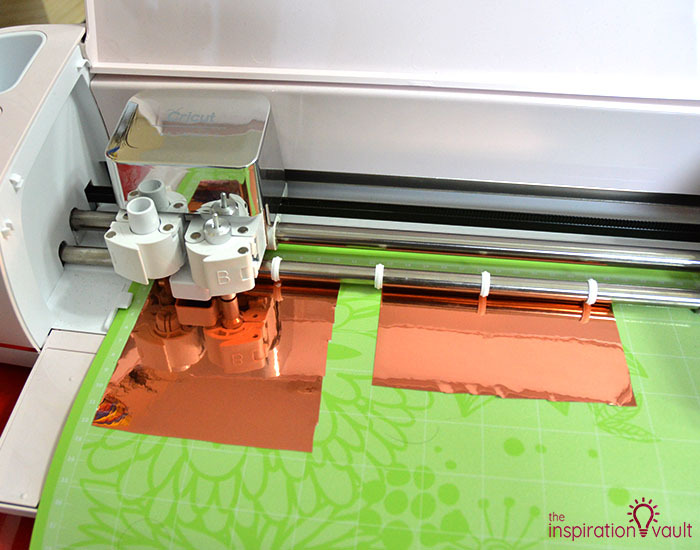 4: Change the Cricut dial to custom and select the Adhesive Foil setting in the custom menu. Cut the image on the foil. 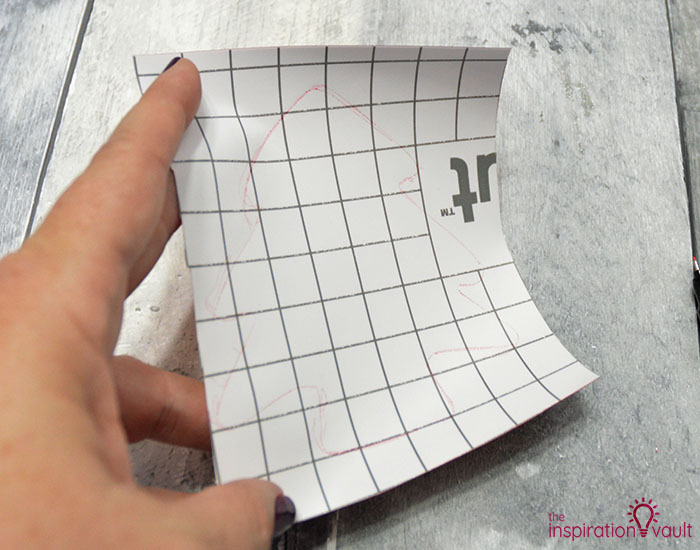 5: Take the cut image and turn it over to show the paper side. 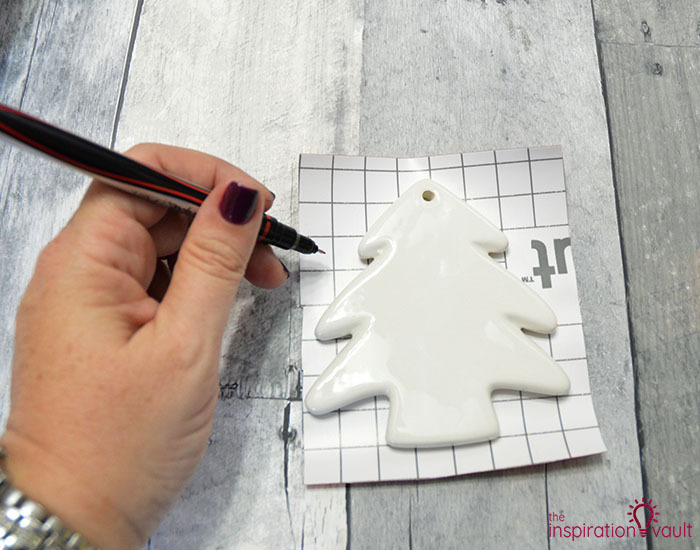 Place your ornament on top and use the Sharpie to angle in and trace around the shape of the ornament. I tried all kinds of pencils and pens and the fine point sharpies were the only ones that would actually write on that coated paper was the sharpie. Don’t worry, if any gets on your ornament, it’ll wipe off easily. Cut out the shape carefully on the inside part of the line. It’s better for the shape to be slightly smaller than larger. 6: Now for the most time-consuming part, weeding. Weeding regular vinyl and HTV can be simple but with the foil, you have to be extra careful not to dent the foil areas you’ll be using. I suggest making sure your weeder tool is very sharp so it can catch the foil more easily. 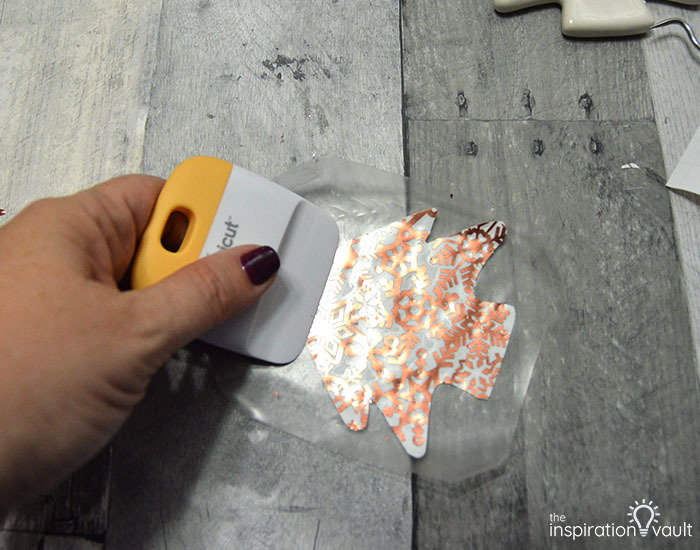 7: Once you’re done weeding, place a similar sized piece of transfer tape over it and burnish it with the scraper tool so the foil adheres to the tape. Peel it off the backing. 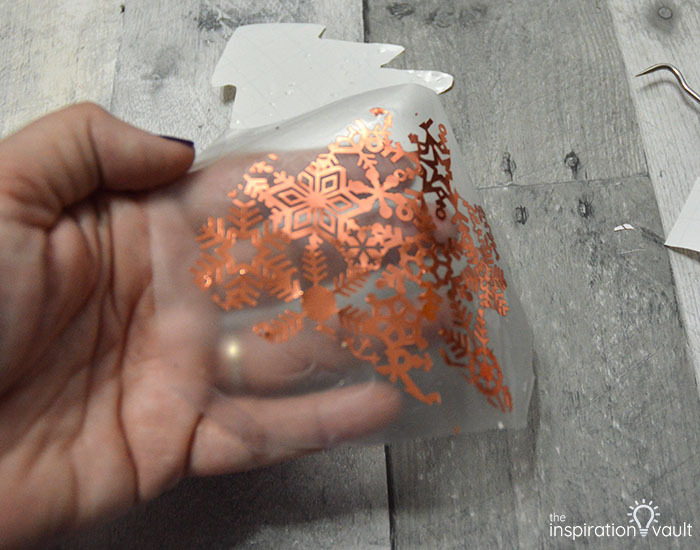 8: Carefully place the tape with the foil onto the ornament, centered as best as you can get it. 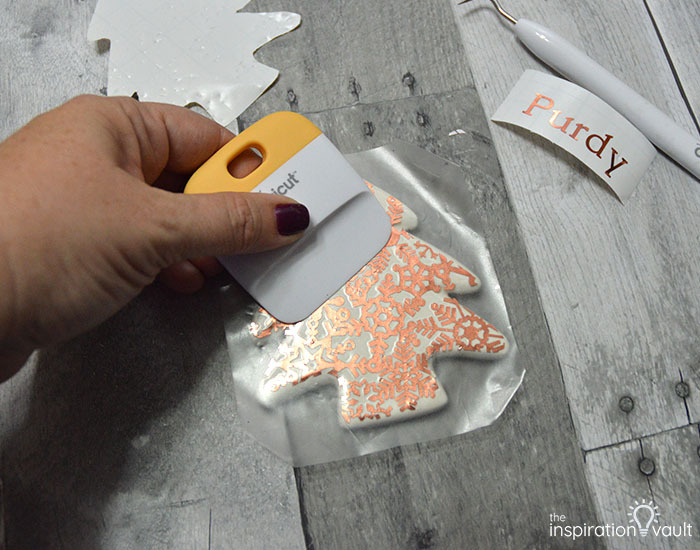 Burnish it with the scraper tool and slowly peel back the transfer tape, making sure all of the foil pieces stay stuck to the surface of the ornament. 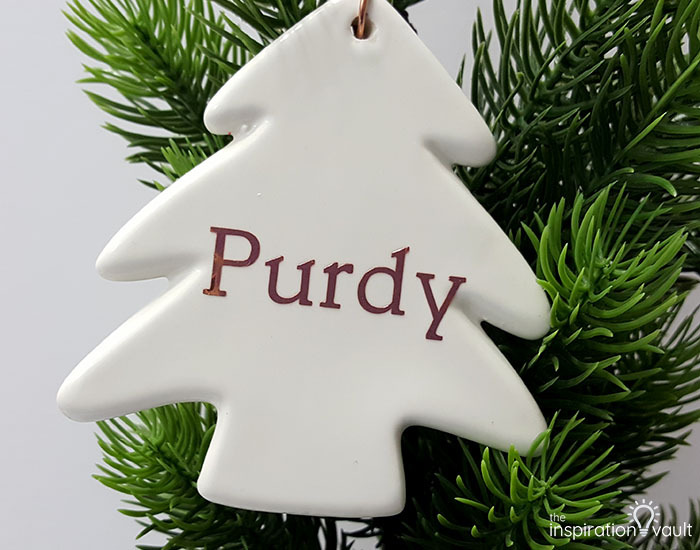 Repeat for the name on the other side of the ornament. 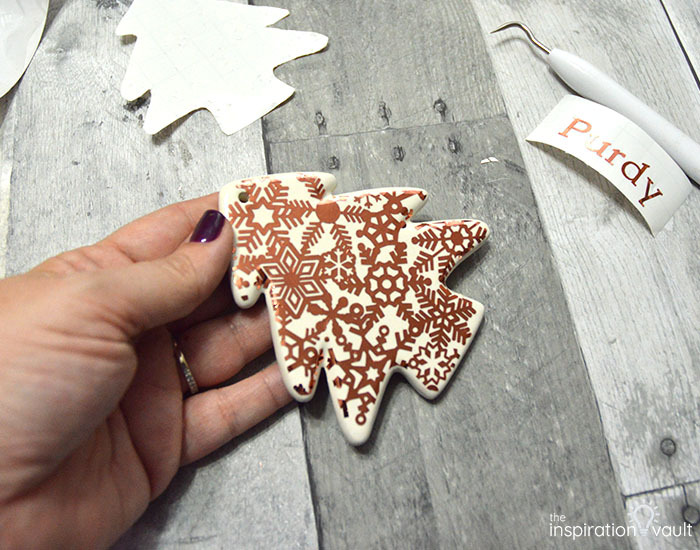 Trim off any pieces that may hang over the edge of the ornament. 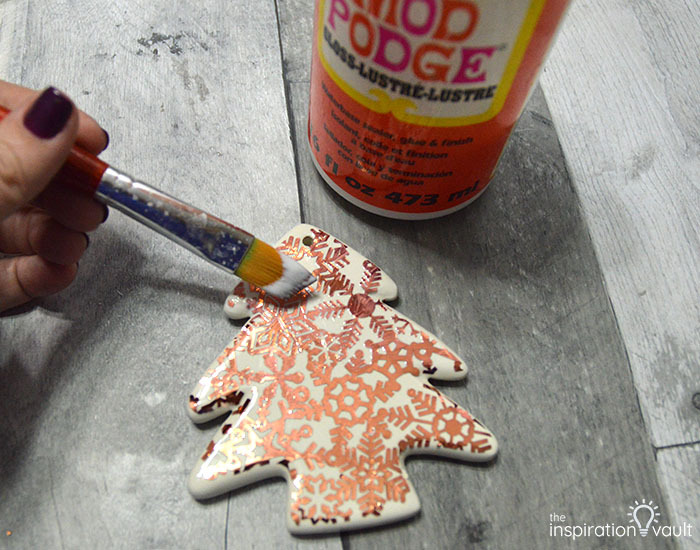 9: Brush a thin coat of glossy Mod Podge over the front of the ornament. I did this just as a precaution to make sure everything was sealed in. 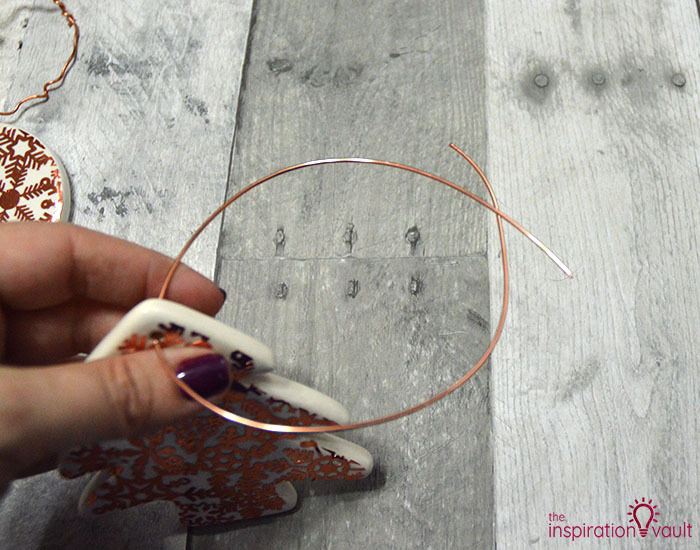 10: While that dries, cut a 12-inch piece of the copper wire. 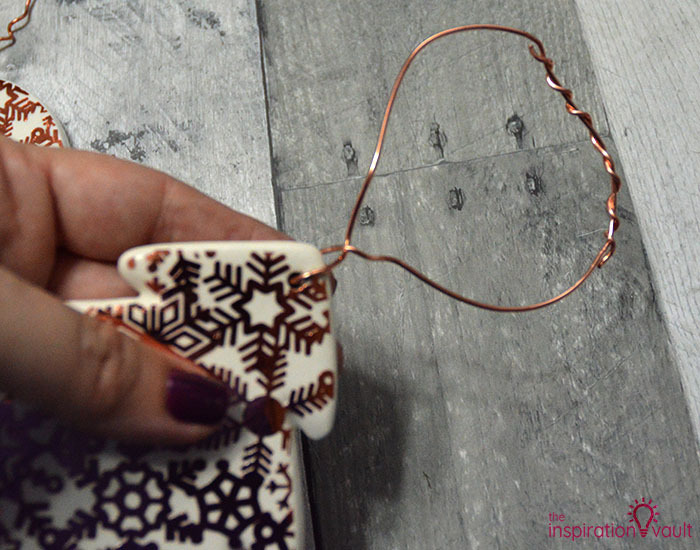 Thread it through the hole in the ornament and form a loop so that the two ends overlap by about two inches. Twist the ends around each other. 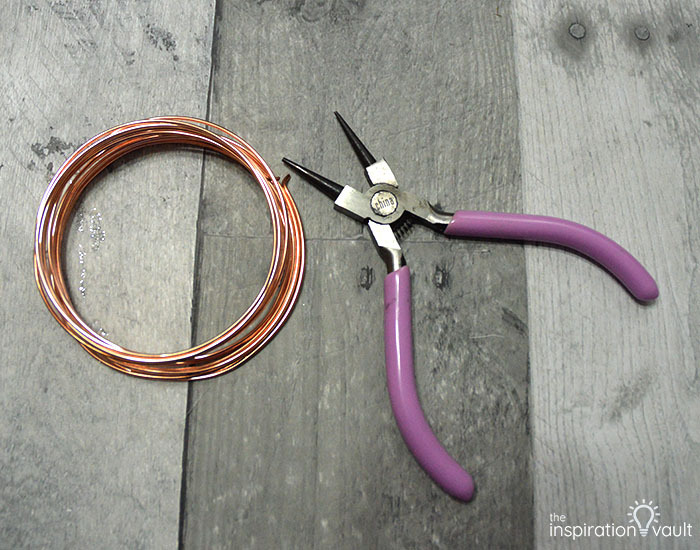 11: At the base of the copper wire loop, twist it around a couple of times to crimp off the loop. That’s it! The foil adhesive was definitely different to work with than regular vinyl or HTV, but I’m in love with how pretty it looks cut into intricate designs. 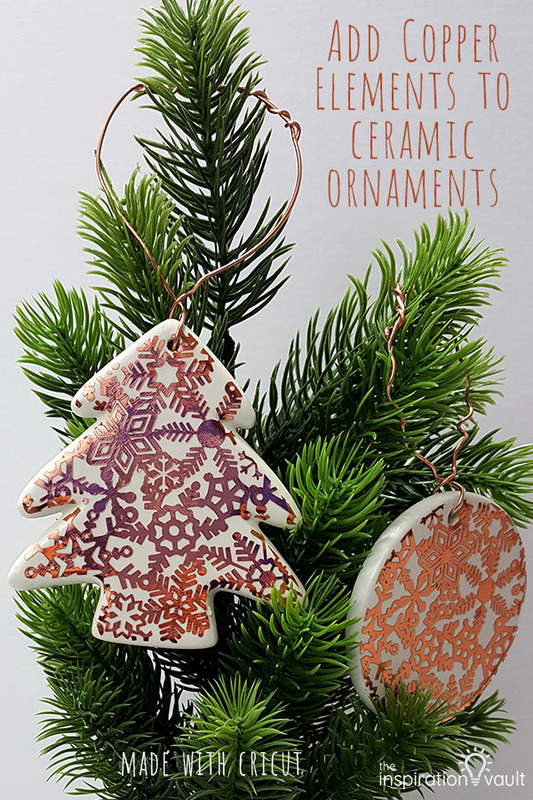 I for sure want to Add Copper Accents to Ceramic Ornaments in some different designs and ornament shapes and maybe in different metallics, too. 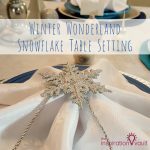 Silver or stainless adhesive foil would also look fantastic with this snowflake pattern for my Winter Wonderland Tree, hmm…so many possibilities. I hope Sue loves her ornament and I can’t wait to see what she made for me! 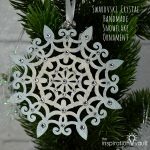 Be sure to see all of the ornaments the other hosts made to get loads of inspiration for your Christmas ornament projects. 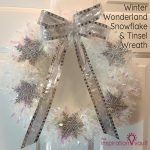 Now be sure to check out all of the other incredible projects from the 2018 Ornament Exchange Link Party! Which one is your favorite? 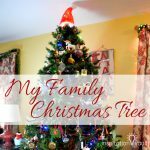 And if you just can’t get enough Christmas ornament craft inspiration, you definitely need to see the pages and pages of ideas over at All Free Christmas Crafts. This is beautiful! I love the color & design. 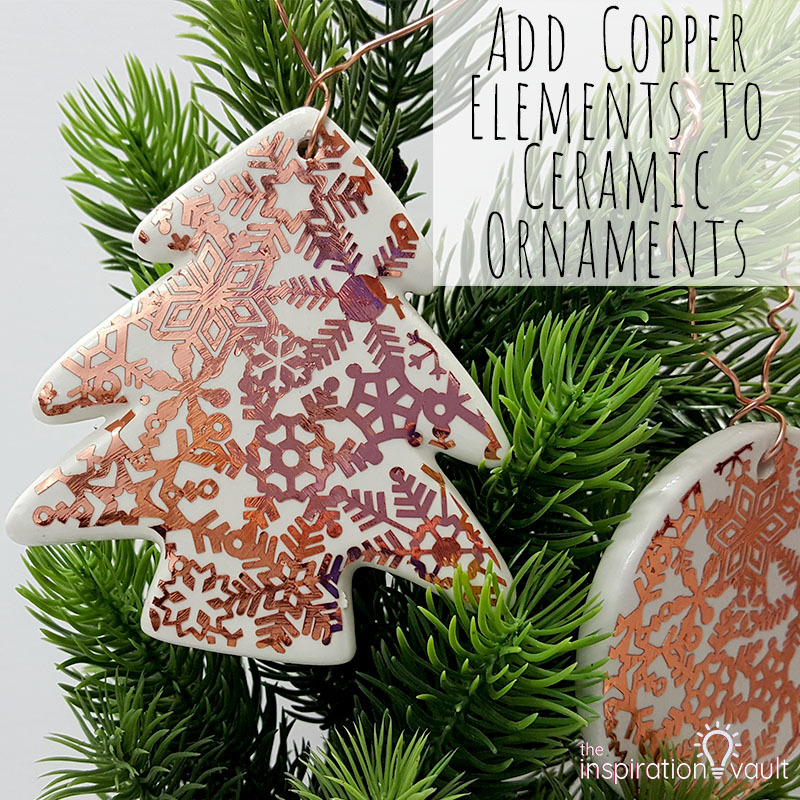 That copper really looks stunning on the ornaments! I love it! These are soooo pretty! You have patience to weed that all out. Pinned. I love this ornament so much! I’m a sucker for shininess! 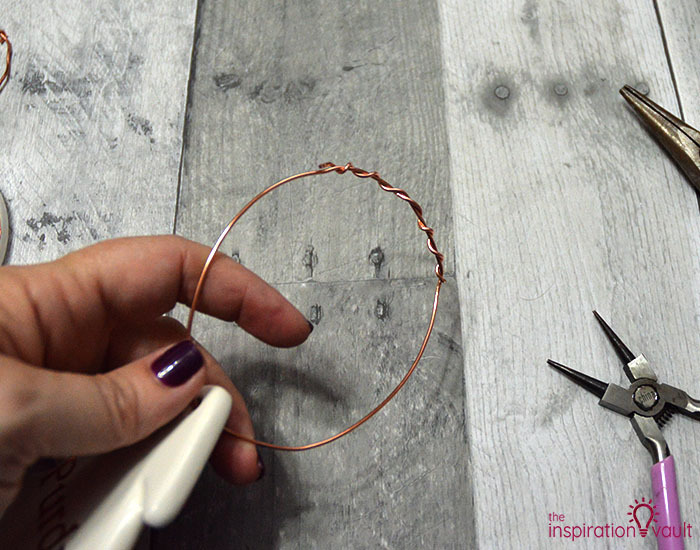 Wow, these are gorgeous and I am loving the copper wire hangers! So pretty! Love it! This ornament is so gorgeous. 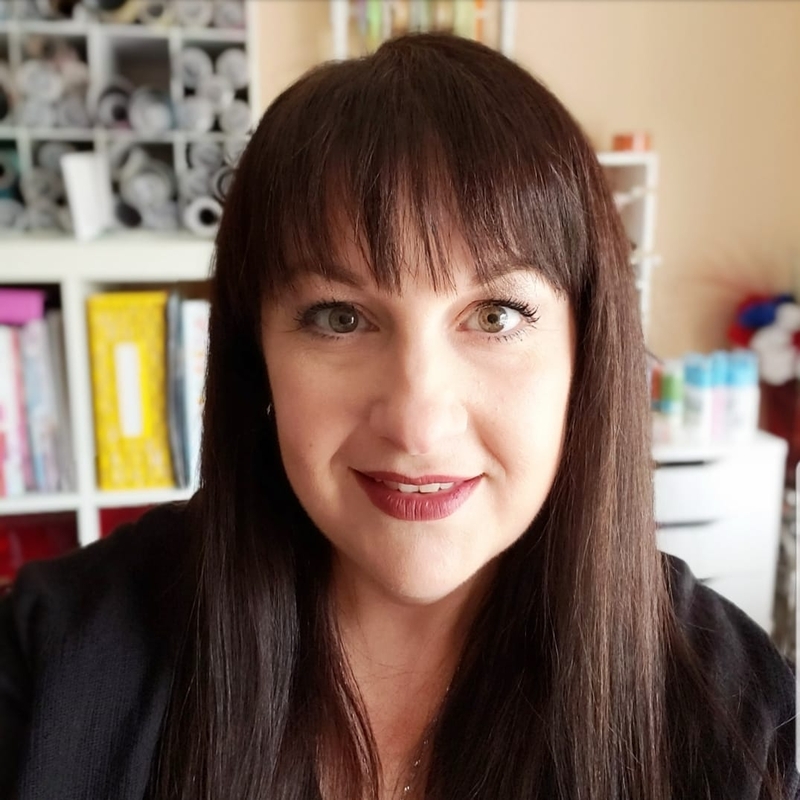 I need a Cricut! That is stunning! 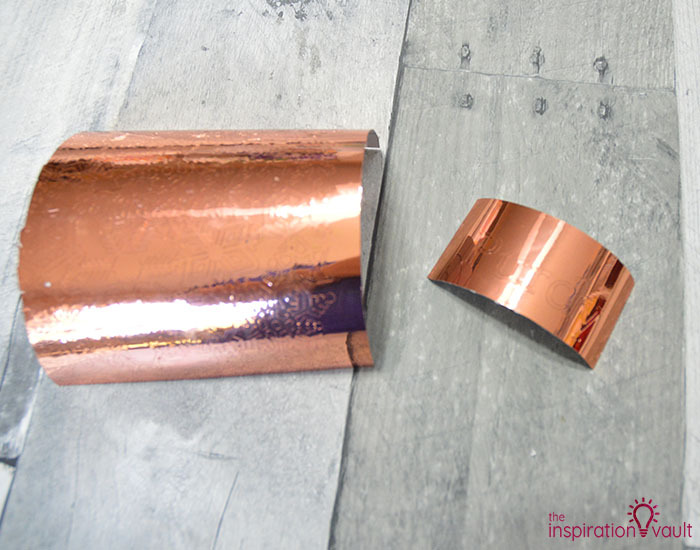 I have never tried using the copper before. Thanks for the tutorial. Pinned.